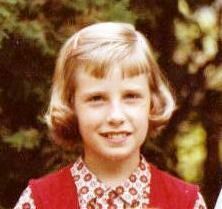 Author of young adult novels, folktales, picture books and essays. I am a Michigan writer. I have lived most of my life on the shores of Lake Michigan. This setting features prominently I most of my writing. I am always working on something and prefer to have several projects going at once. After 40 years and many books, I still enjoy the immersion into another world that my projects require. Right now I am writing a fantasy novel about a herd of deer and when I am writing I am part of the herd. I live with my husband in Grand Haven. 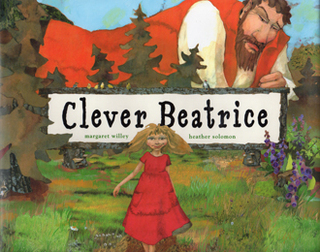 A recent honor for my classic folktale Clever Beatrice! It was chosen by the Library of Congress for their Discover Great Places Through Reading Program as the book to represent MICHIGAN! Clever Beatrice is set in the Upper Peninsula of Michigan. I have happily designed and reclaimed my 2009 novel A Summer of Silk Moths. Complete with illustrations—the narrator’s nature drawings. 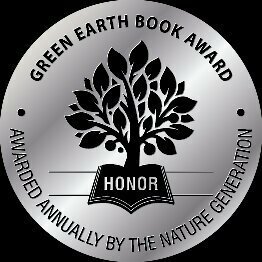 Received an award from the Green Earth book awards, an award for books that honor the environment. Set lovingly in Buchanan, Michigan. For nature-loving adults and teenagers. Available from Amazon. Luna moth drawing by the book's narrator, Pete, a young nature artist. My Young Adult novel Beetle Boy was one of two finalists for the 2015 Society of Midland Writers Award in the category of Children’s Fiction. It’s a novel for older teens and adults about one boy’s search for redemption and healing after he begins having nightmares and flashbacks from a childhood of being at the mercy of his father’s money making scheme—namely making Charlie, painfully shy and wanting only to be normal, into “the world’s youngest published author” and a local celebrity who must perform in a beetle suit and pretend to be a real author. It is a reflection on the dark side of writing books for children, something I have done for most of my life, but I also think it’s very funny. The book received other awards and 3 starred reviews. BEETLE BOY NAMED A 2015 BEST CHILDREN'S BOOK OF THE YEAR BY THE BANKS STREET COLLEGE CHILDREN'S LITERATURE COMMITTEE IN THE AGE 14 AND UP CATEGORY. Four Secrets, my 2012 novel about bullies, warriors, and a little time in juvenile detention. Available in paperback. My guest column for ALAN Review, discussing FOUR SECRETS and other notable works about bullying for children and adults about bullying. ALA Booklist lists FOUR SECRETS among the 10 best Crime Fiction for Youths of 2013. 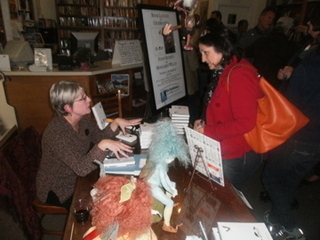 School Library Journal featured my booksigning for Four Secrets at my hometown indie bookstore, The Bookman of Grand Haven. 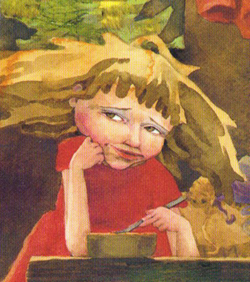 Nearly two decades ago, I wrote a folktale for children, featuring the character Beatrice, a very brave and clever girl from the north woods. Clever Beatrice and its sequels are all illustrated by the amazing Heather Solomon.